You're at the animal rescue shelter and lock eyes with her. The most adorable long-haired Chihuahua you've ever seen in your life. Her tongue is ever-so-slightly sticking out and off to the side, and her tail is wagging so hard that her entire body is shaking. That's what you call love at first sight. 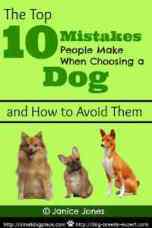 But there are some things you should know about Chihuahuas before bringing one home. By no means is this post intended to dissuade anyone from adopting, but you should be aware (and be prepared to handle) any potential challenges that may come with your new four-legged friend. Every breed has its own set of issues that are slightly more likely to occur due to genetics. So, don't be alarmed. Just be aware. The most common issues chihuahua's face are bone fractures. This is a common problem among toy breeds because they are more fragile. The luxating patella is often called a floating kneecap. In both cases, shoulder and knee, this condition occurs when the joint becomes loose. This is a condition that usually only occurs after trauma. Luxating joints will cause the arm or leg to freeze up. Just like a dislocated joint in humans, luxating shoulders or knees can usually be manually manipulated back into place. In extreme cases, this condition may require surgery. If your dog has a collapsing trachea, you may have heard him making a loud, closed-mouthed coughing sound. Small breed dogs are genetically predisposed to this condition, but it could also happen as a result of trauma. To prevent a collapsing trachea, or prevent it from getting worse, use a harness on walks instead of a collar and feed her high-quality food. Chihuahuas are more prone to this condition when they are puppies, but it is something to be aware of with adults in the smaller end of the spectrum as well. Hypoglycemia occurs when the dog's blood sugar levels are too low, and this can happen from skipping meals. Make sure your dog often eats enough throughout the day to avoid hypoglycemia. 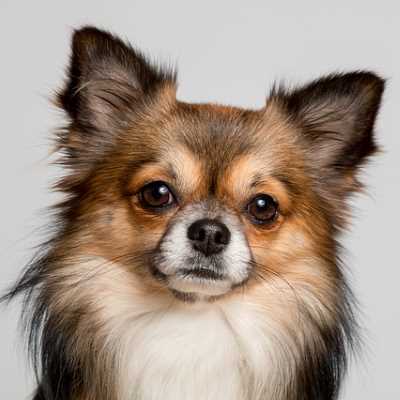 Dental disease – All dogs are susceptible to dental disease, but chihuahuas are more prone to it than some other breeds. To keep your chihuahua's mouth clean, brush daily, use dental chews and consider a homeopathic dental spray. Homeopathic treatments rely on natural ingredients to help bring the body into a state of balance. Each remedy is specifically designed for your pet's condition, and it works in a few different ways. For example, a remedy or set of remedies will likely address your dog's overall state of health. It is crucial to bring the immune system to a healthy, functional state before or while addressing any outward symptoms of another problem. Every condition mentioned here can be addressed with homeopathy. If you are unsure of which remedy to use or where to begin, consult a reputable homeopath who specializes in animal treatments. If you notice your dog jumping from one couch to another, consider moving the furniture to prevent a potential fall. Always be on the lookout for dangerous situations to help keep your pet safe. If your chihuahua does fall and get hurt, consider administering an anti-inflammatory agent immediately. A first aid homeopathic remedy can also minimize bleeding, swelling, pain, accelerate fractured bone consolidation, promote tendon and ligament repair, and increase oxygen supply to optimize recovery and healing. Spray 3-4 times daily (depending on the pain). This will help your pet cope with the injury until you can get to the veterinarian. It is not so unusual to see an older chihuahua with her tongue hanging out and off to the side because she is missing teeth due to poor dental health and genetics. However, you can keep your pet from this discomfort with regular brushings. It may also help to strengthen your dog's bones by giving her homeopathic tonics designed to solidify bones and teeth naturally. TonicPets # 1, 2, 4 and 12 nourish and strengthen the tendons, ligaments, bones, muscles, including the heart and trachea. This combination of tonics will solidify teeth, help anchor them in the gums and help develop resistant enamel to prevent cavities. 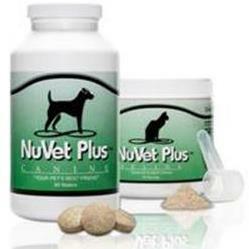 Nutrition is extremely important for your pet's overall health. Keeping your Chihuahua at a healthy weight can help avoid heart, breathing, and joint problems and help keep him healthy and strong for a lifetime. If you are considering getting a chihuahua, remember that you are adding to your family. It may well be one of the best decisions you will ever make, but it is not one to be taken lightly. In addition to love and attention, your chihuahua may need special care to help ensure that he or she remains safe and healthy. Daily care along with specially-designed homeopathic remedies may help keep your pet from getting one or more of the conditions that are commonly associated with this breed. Jennifer’s travels have brought her all over the world, but volunteering in a humanitarian capacity has always been the driving force behind her globetrotting. Her journeys have shaped her life and personality and have made her more compassionate and aware of the needs of those around her, both human and animal. Having been acquainted with homeopathy at a very early age, Jennifer believes in its capacity to restore good health and stamina and feels compelled to share with others how well homeopathy has helped her personally. "